WPC Law is the one of most highly recommended personal injury law firms in the province. Tens of millions of dollars in compensation have been recovered by our lawyers for injury victims and their loved ones, all across Ontario. If you or a loved one has been injured, you are entitled to compensation. 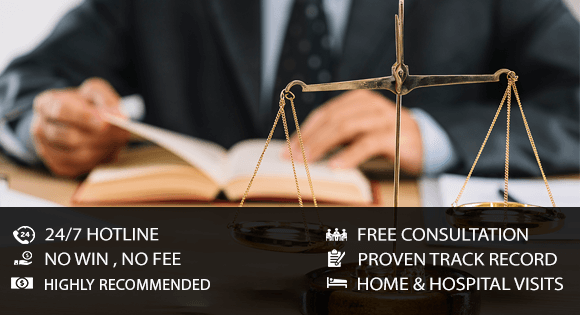 Contact us today for a free, no-obligation consultation and get the peace of mind knowing that WPC Law's expert team is working to protect your rights. Our lawyers have a combined experience exceeding 80 years, and consistently recover substantial settlements for injury victims and their families. Our personal injury lawyers will never back down from a legal battle until our client has received the compensation they deserve. In addition to our expert lawyers, our support staff at WPC Law is ready to assist you in over 25 different languages and works to ensure that our clients receive the best possible results. Our "24 hour rule" guarantees that every call, e-mail, fax or other communication is returned within a single business day. At WPC Law, many of our lawyers have been employed by insurance company legal teams. As a result, they possess intimate knowledge of the legal tactics and strategies used by these companies. This in turn gives WPC Law's clients an advantage over such corporations, increasing the likelihood of higher compensation amounts. Our lawyers stay on the leading edge of the legislation by attending workshops, seminars, and other professional development functions. Our specialty, focus, and passion is personal injury law. For decades, we have protected the rights of injury victims while focusing our expertise and resources on recovering the maximum compensation for injury victims and their families. With our legal team in your corner, you can be confident that your rights are protected.